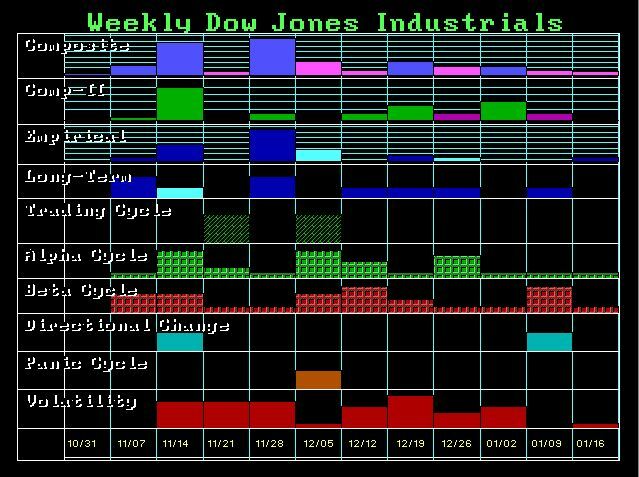 The Evolution Devotion: Weekly Timing Array for the Dow. 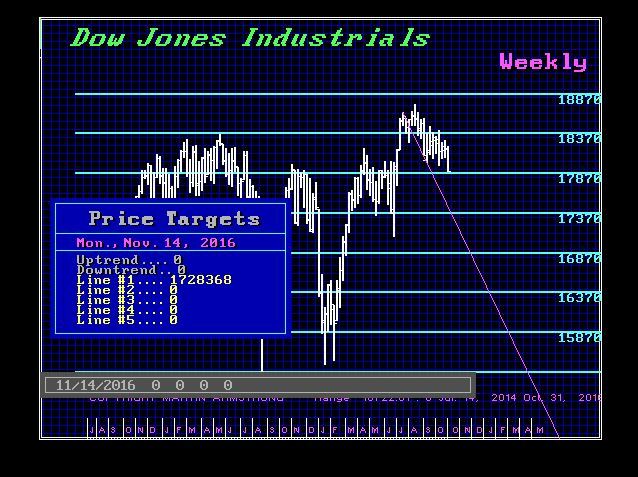 This week was not supposed to be a turning point week (Armstrong economics). I didn't know what to make of that, I assumed something big would happen despite the array. So that means the week starting 11/14 is a major turning point week. I'm not even going to guess if it's a high or low. Maybe the best way to decide is to watch this chart. I didn't realize how steadily stocks have been declining. So anyway, if the price hits 17283.68 next week then it looks like a buying opportunity.